Hi loyal Bandbook users! 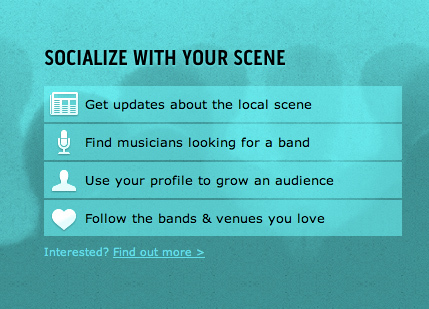 We wanted to reach out and let all of you know that there are some very exciting things on the horizon for Bandbook. We promise, it isn’t just talk. Our team is working extremely hard an an entirely new Bandbook.com that will knock your socks off. Now that we have that out of the way, we’d love to open up the conversation to all of you loyal users. We obviously have plenty of our own ideas on how we can make the site much better, but we need your feedback as well. It is vital to the future success of the site. So please, let us know what you want to see for the future of Bandbook. You can do it right in the comment section of this post. We’ll be sure to post more updates as we have them. But for now, we’ll leave you with this sneak peak.